An unexpected for the time of year addition to the island list was found late on today when a Stone Curlew was flushed from near gretchen. A Stonechat was also seen and a few thrushes were also around. 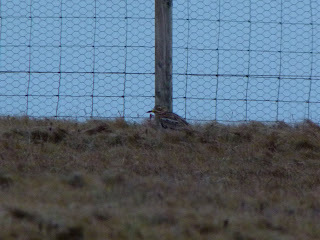 Apologies for the poor quality imagies but it was nearly dark. 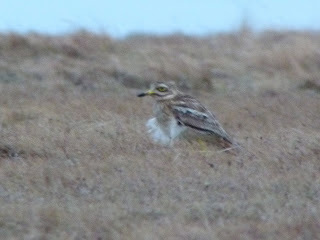 A pretty quite period with the best being; a Grey Phalarope on the 1st, the Slavonian Grebe was on ancum to atleast the 9th, the Short-toed Lark was seen on the 1st and 3rd, a Firecrest on the 8th was only the 4th island record. Maximum counts of thrushes were 133 Fieldfare and 116 Redwing on the 2nd and 62 Blackbird on the 9th. 138 Snow Bunting on the 1st was the highest count and a Goldfinch was seen on the 9th. 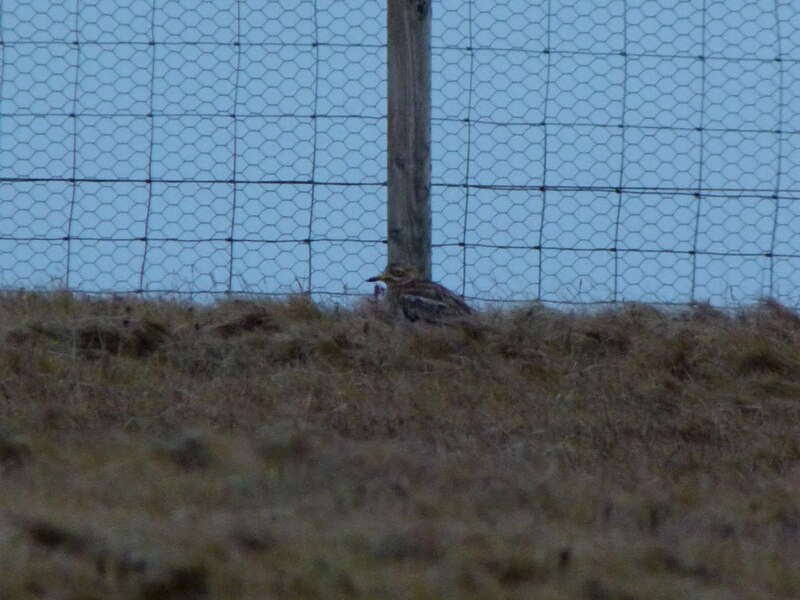 The highlights of this period were; a 1st winter Little Gull, 3 Little Auks and 45 Twite on the 29th. 2 Chiffchaff on the 30th and a Short-toed Lark, a Waxwing and 2 Blackcap on the 31st.